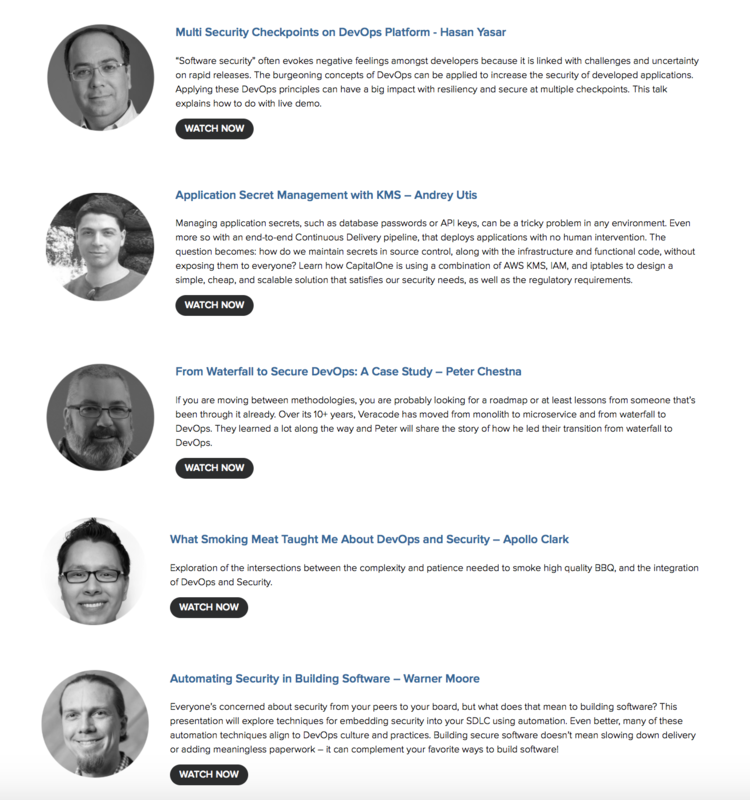 It's time to discover the community of solutions available for DevSecOps and to listen to the lessons of the pioneers that were paving the path forward to this day. In DevOps, those that can't keep pace are often left behind. For many people leading DevOps initiatives over the past few years, this led to a painful choice of leaving security by the wayside. Many Waterfall-native approaches to security could not keep pace with their new DevOps-native requirements and they were shunned. Gene Kim and Josh Corman first sounded the death knell for security as we knew it during their 2012 RSA presentation, Security Is Dead. Long Live DevOps: IT at Ludicrous Speed. However, as with so many things in our world, necessity is the mother of invention. Leaving security out of the DevOps toolchain was not an option for some and unimaginable for others. Fast forward four years and things have changed dramatically. We are on the cusp of a new era of security that lives at ludicrous speed. Software-defined security is crossing the chasm into the mainstream. Software-defined security will move into the mainstream of DevOps tool chains. DevOps professionals, recognizing that huge quantities of components (i.e., build artifacts, containers, open source binaries) are moving across their software supply chains, will begin to evaluate the quality of those elements at scale. Security will move from a bolt-on practice at the end of a software delivery lifecycle to one built-in that is consumed like a service, thereby empowering development and operations teams to improve and iterate component choices instantly. Wave one of software defined as security in the mainstream will be referred to as DevSecOps. Beyond the predictions for next year, we saw strong evidence of the topic picking up steam in 2016. In November, Gartner released its report DevSecOps: How to Seamlessly Integrate Security Into DevOps. While to some this may not be a big deal, it represents a significant market shift. You see, Gartner covers mainstream IT investments by large enterprises. It is not focused on early stage technology adoption. Topics being covered by Gartner are considered to be mainstream. November's All Day DevOps conference was another leading indicator of mainstream interests. The 15-hour online conference dedicated 18 sessions to automated security. The sessions were packed and over 10,000 session views were recorded. The conversations on the conference's Slack channel were also non-stop. Practitioners from around the world were not questioning if it were possible for security to run at DevOps-native speeds, they were sharing experiences of how they were accomplishing it. For those of you heading out to the Bay Area to attend the RSA Conference in February, be sure to check out their third annual DevOps Connect: Rugged DevOps event. I'll be there and I'm looking forward to hearing from more practitioners sharing their stories. DevSecOps is hitting the mainstream and if you have not been paying attention, 2017 will mark a good time to start. If you are a security professional, begin to explore what others are doing. If you are a Development lead, enterprise architect, or DevOps professional, it's time to examine how security practices have changed and how far they have shifted left. It's time to discover the community of open-source and commercial solutions that are now available for DevSecOps and to listen to the lessons of the pioneers that were paving the path forward to this day. Security is alive again. Long live DevSecOps.